Here is you chance to win a great new product that will have you fishing more and re-tying less. 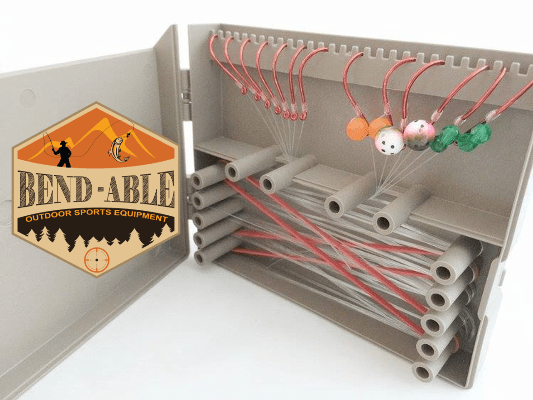 The Leader Feeder by Bend-Able Products. All you have to do to enter to win, is to leave a reply to this post telling your favorite fishing story here in our Fishaholics Northwest Forums. If enough members like your story, you could be the next winner of a pair of Leader Feeder's. That's two leader's feeder's sent right to your doorstep free of charge! This contest runs till the end of April! All participant must reside in the continental U.S. Winners will be determined by the number of likes your story receives, so don't forget to tell all your friends to give your post a like in our forums. The fishing story with the most Likes 'WINS!" Don't miss out on this great opportunity to share your fishing adventures and win a great new product. The Leader Feeder. We hope you enjoy the contest!